We Northern Cork Industries [New Delhi], from 2016, are serving our customers by manufacturing a high-quality Decorative Cork. Offered products range consists of Cork, Cork Powder, and Cork Fabric. All offered products are manufactured under the supervision of quality controllers using best quality raw material and innovative technology in adherence to quality norms.The product range is highly required for their features like high strength, bubble-form structure, and natural fire retardant and longer life. Our offered products are widely used for acoustic and thermal insulation in house walls, floors, ceilings, and facades. For a high production rate, we have developed a strong infrastructure facility. For interrupt free running of our all organization process, we have divided our facility into various active departments. Our professionals are selected through industry approved selection procedures. 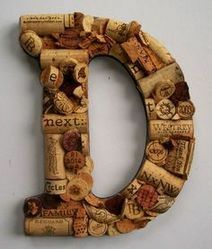 We are able to deliver decorative corks on time at client’s end with a wide distribution network. Moreover, we have a long list of client base across the market.